Last year featured a week that was dedicated to promoting the music of local artists and throwing a little exposure their way. It was called the Movement Movement because I thought it would be funny but in reality it turned out to be one of the best things I’ve ever done as a music writer/reviewer/guy. One of the artists featured was Bara Blaque, a rapper from London who dropped one of my favourite EPs of the year in Dreams and Vice. 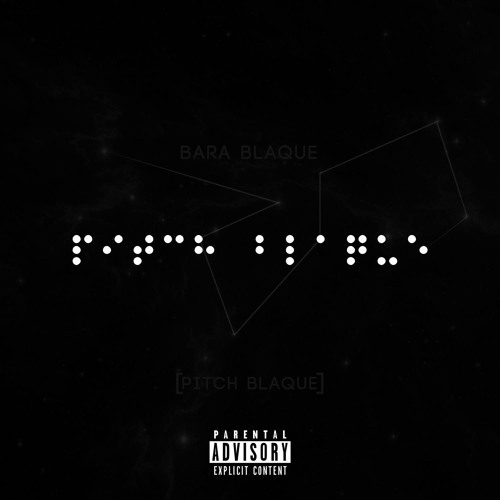 For 2016 however Bara is planning to release a new album titled Pitch Blaque which is going to expand on the sounds of the EP and broaden the mind on the mind of Bara Blaque. The first taste of Pitch Blaque is Tranquilo, a track that offers a Spanish flair against Bara’s solid flow which already makes it one of the more vibrant and colourful tracks of the rapper’s discography. Some moody guitar melodies are performed upon layers alongside some industrial-sized percussion and the occasional echo of horns in the background – it sounds great. Bara’s lyrics reference certain Spanish exports while also talking about the allure of the other human species, and all in all Tranquilo is a track that’s pretty seductive and hard hitting. Tranquilo is a great track from Bara Blaque and is arguably my favourite of his so far. The creativity involved in the instrumentation reveals one that’s entertaining, catchy and stands out from your traditional hip hop instrumentals. Bara’s lyrics and flow are great, and yeah, I’m very excited to hear Pitch Blaque now. Stream Tranquilobelow, and for more reviews, interviews and good tunes check out Exploding Head Syndrome on Facebook and Twitter.